Our Design Process is all about you. 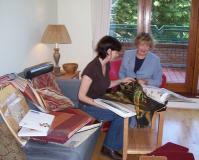 We meet with you in your home to look at what you like, what you want to change and what you would like to keep. We chat about lifestyle, colours, designs, fabrics, furnishing, storage, budget - and everything else in between. We build an understanding of the home you want - and advise on sleek, modern, minimalist, plush or traditional. And how we can match these aspirations to your budget. 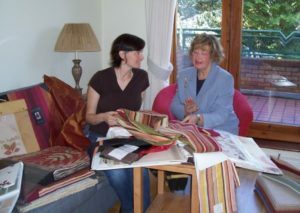 We then prepare a quote and create a tailor made design for comfortable living- matching your budget, lifestyle, colour and furnishing preferences. Need some advice to make your home more comfortable? Call me now on 01 294 3675 or email Karen here.